In the beginning there was Vinoteca, then along came Terroirs and its offshoots, Soif and Brawn, soon followed hot on their heels by Sager + Wilde, Les Deux Salons, the 28-50 group, The Remedy, 8 Hoxton Square,10 Cases Cave à Vin and Compagnie des Vins Surnaturels. And I haven’t even mentioned London’s burgeoning tapas bar scene. Need I go on? Well yes, actually. Noble Rot is the current darling of the winebarista set, and Jane and David have unselfishly visited it on your behalf (see http://www.thewinegang.com/blog/londons-newest-wine-bar). Wine bar, brasserie, bistrot, tapas bar, call it what you will, the stylish and innovative wine space has become such a welcome and pervasive alternative to Ye Olde Pubbe and the All Bar Nones of this world that I sometimes wonder how even London can absorb such vino-gastronomic richesse. As if I didn’t have enough trouble keeping up with, or not keeping up as the case may be, with the plethora of wine bars already mentioned, along come two more new operations with a strong focus on wine, each with its own unique focus and perspective. Les 110 de Taillevent is the first restaurant opened in London by the Gardinier brothers who have fingers in the pies of the two Michelin-starred Le Taillevent and its brasserial offshoot Les 110 de Taillevent in Paris, les Crayères in Champagne as well as owning Château Phélan-Ségur in Bordeaux. 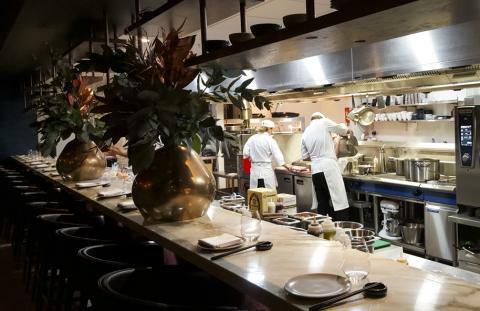 M, Victoria Street, the brainchild of Martin Williams, is a dining and drinking constellation of wine store, online shop, wine bar, restaurant and private members club. It would no doubt be considered one-upmanship of the worst kind to say that at Les 110 de Taillevent my enjoyment of Steven Spurrier’s Bride Valley Blanc de Blancs was enhanced by the fact that it was poured by the great man himself. Alas, I can’t guarantee the experience for everyone but in the warm, wine-friendly ambience of the high-ceilinged room that was once a bank, there sitting opposite me at the soft launch was Mr Judgment of Paris. 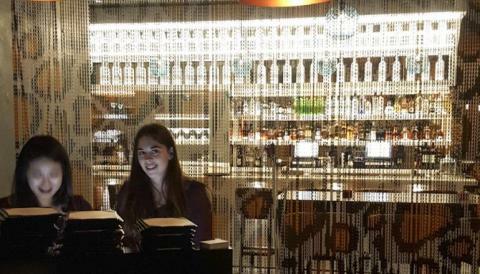 We were there, independently, to check out the Gardinier brothers’ new Cavendish Square watering hole. Given the number of wine people there on the night, it was less about the food than the 110 wines by the glass, hence the name. Thanks to the revolutionary enomatic, the 110 green bottles adorning one wall are impressive for range, quality and pricing. We were free to choose from the list and so that’s exactly what I did, a Puligny Montrachet with the langoustine ravioli, though it might have gone equally well with the crab remoulade with dill and fennel or seabass with lemon olive oil dressing. Then a 2005 Roumier Chambolle Musigny Les Cras, too young but equally delicious nonetheless with sirloin, marrow bone and pepper sauce or garlic and rosemary roast saddle of lamb. The food plays second fiddle to the astonishing selection of wines (330 bins in total) at prices that become (almost) affordable when you can drink by the 125 ml glass at £8 or less, £14 or less, £20 or less and over £20. 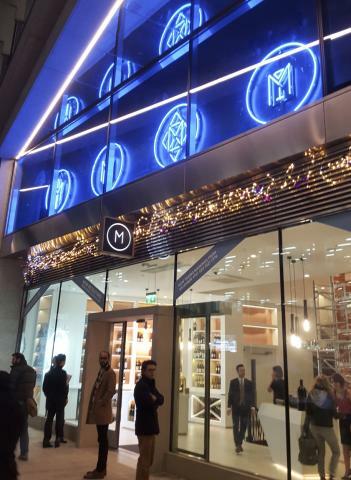 If Les 110 de Taillevent is the upmarket wine destination to see and be seen in, the chic of M, Victoria Street, is bolder and glitzier. Visiting two days before its opening on Saturday 5 December, I found lots of cool glass, white space and metal, so much so that at first I took the scaffold erected to instal the multi-story wine cellar for a Saatchi Gallery-type sculpture. Martin Williams, who I remember from Gaucho Grill days (he was there for nine years), took me on a guided tour of the streetfront M Wine Store, then downstairs to M Raw, serving lighter dishes with tapas menu from an open kitchen, the oval Grill Restaurant designed with the bullring in mind, the private dining room and behind a secret door, M Den, a Private Members’ Club complete with bar, warming fire and private cinema. In addition to an enomatic for icon wines (which have their own wine list and can also be served, thanks to the Coravin, from 25 ml upwards), there are six more, featuring France, Italy, USA, Australia, South Africa and Argentina. These are the six countries highlighted (although not exclusively) as partners for M, Victoria’s quality steak-centric food. Apart from wines by the glass, a choice of 320 bottles means a broader spread of wine regions and countries. The South African Chenin Blanc, I tasted along with a Glenelly Syrah, a Querciabella Chianti Classico and an Australian Merlot, were well-chosen by Martin Williams and impossibly young (24) wine director, sommelier Zack Charilaou. I didn’t stay for dinner but I ‘m tempted back by a menu put together by Michael Reid (previously of Le Gavroche and Gordon Ramsay) that includes smoked Wagyu tartare, braised lamb shoulder and venison salami. 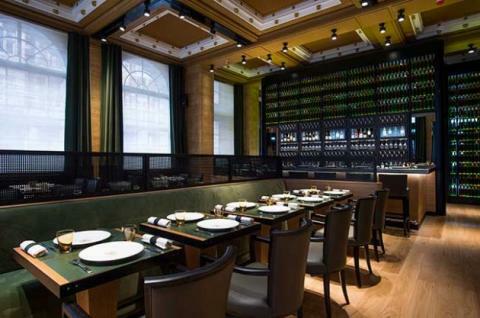 Martin Williams has already made a success of his first restaurant, M Threadneedle Street, and intuition tells me that M, Victoria Street, will soon be following suit. Les 110 de Taillevent. 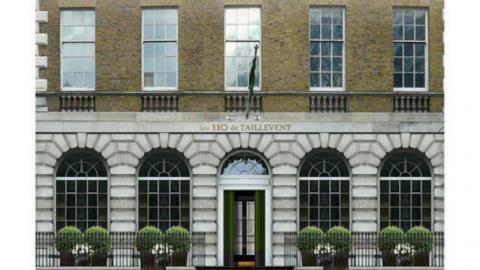 16 Cavendish Square, W1G 9DD London.+44 20 3141 6016. les110.london@taillevent.com. A la carte 7 days a week. 2 course set menu lunch and dinner 7 days a week. M, Victoria Street, M, Zig Zag Building, 70 Victoria St, London, SW1E 6SQ. 020 + 44 20 3327 7776. victoriastenquiries@mrestaurants.co.uk. Open 7:00am – Midnight Monday – Friday | 10:00am – Midnight Saturday and Sunday. www.mwinestore.com.